Good post! You can get along with just motorcycles. I sold my car last year, and I have been enjoying every minute since. I have been following your Blog for a while now. You make so much sense. I end up agreeing with you a lot. I was also thinking of downsizing "stuff". I have hordes of Junque to get rid off. Life has to be simpler than what it has gotten to. For the past while I have just ignored the chores but now they have to be attended to before everything falls apart. We live in an area where you cannot necessarily ride all year around. During the winter we have FOG, Frost, ice and sometimes snow so a car cannot be eliminated. My wife and I live in a condominium in downtown Portland, Oregon. Every day I commute 15 miles each way on my KLR 650, rain or shine. My wife just took a job out of state and has our SUV - so the motorcyle is my only form of personal transportation. Of course I could take a bus to work, but that would take 3 times as long each way. Luckily downtown Portland is a great place to walk - shopping, restaurants, etc., and I can also take the MAX (light rail) to places like the airport, and the streetcar (think trolley) when I just don't feel like walking home. I have lockable hard luggage on my KLR, and a dry bag that straps to the rear rack. I guess what I'm saying is if you live in a city with amenities close by, you have the right kind of bike, and especially if you live a simplified condo lifestyle, you can easily live with just a motorcycle. Good topic, especially on Americans' tendency to own too much 'stuff.' Sometimes the stuff we own can end up owning us. I'm a big believer in simple living. If I haven't used something in more than a year, I sell it, donate it or throw it away. Great.. 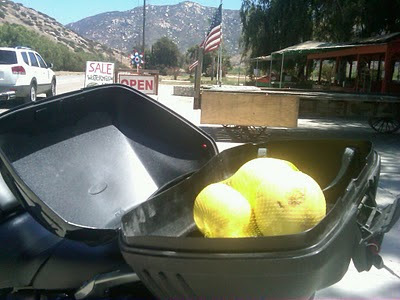 I finally get a second bike in the stable (Buell Uly XT) & you start talking about "too much stuff" ;-)... I agree 99%, but does this also have to apply to motorcycles? TriggerUltra, I guess "too much stuff" deals with stuff that we don't use, or stuff that just makes our lives more difficult. I mean, my two motorcycles do cost me money to own, but it's not like I have other toys. I've pared my hobbies down to just motorcycles. But then again, it all depends on what you're comfortable with. I get by just fine. No car for me. If I need one a friend helps me out. All thoughtful stuff especially since my job will be vaporized in July. I am not likely to find a similar job with equal pay, so a reduction in lifestyle is coming. I am motorcycle rich having four nice ones. Can I reduce the heard? One has a sidecar which my wife and kids like that so that stays. Now it's just a choice of which two wheeler for me. Maybe if I didn't have a mortgage and so on this would be easier.. What is really important? And how do we figure this out? I live in Detroit so a car is pretty essential, but how much car? Finally,I'm a newbie to this site and like it very much.